Few symbols are as universal, nourishing and powerful as the Tree of Life. Helen's design captures the movement of winds and the spiral forces that flow from the roots to the leaves of a tree. Few symbols are as universal, nourishing and powerful as the Tree of Life. Helen's version is different from others you might see. It captures the movement of winds and the spiral forces that flow from the roots to the leaves of a tree. 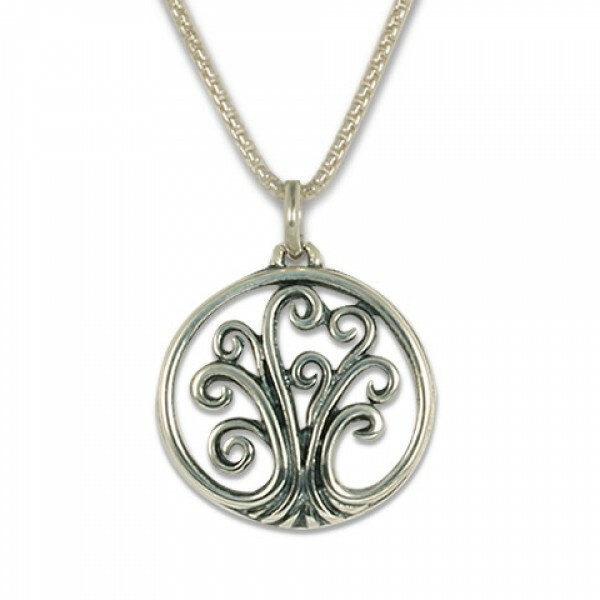 This Pendant is a smaller version of Helen's Tree of Life Pendant. Decades of design experience allows us to create the most exquisite contemporary Celtic Jewelry on the market. First Fair Trade Gold Jeweler in the US. Celtic Culture was rooted in reverence for the earth and community. Find out more.